Aerodynamic wind spoiler improves airflow to create downforce. 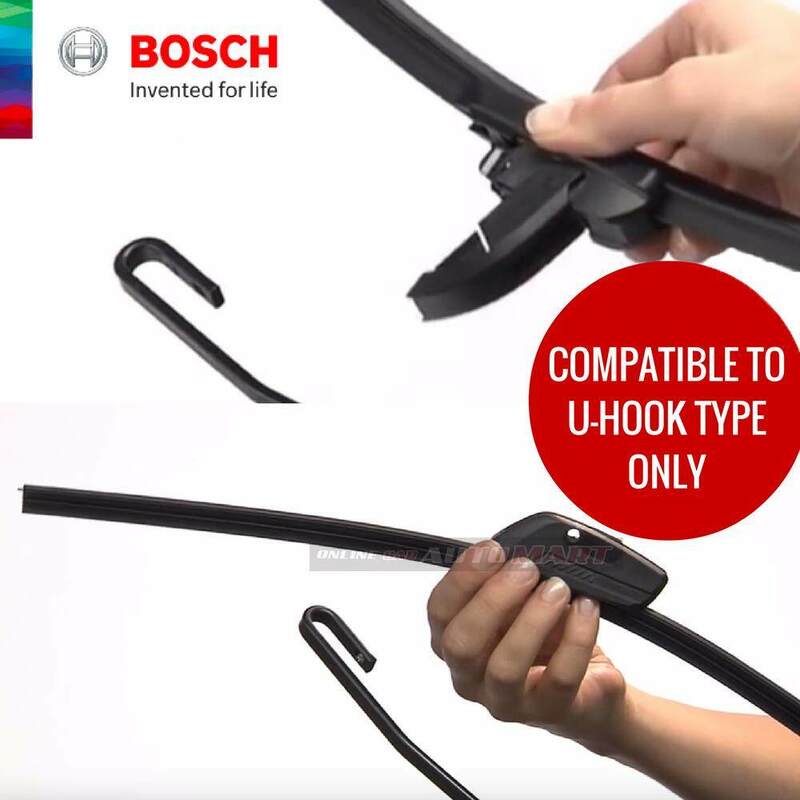 Thelatest in wiper blade technology,Bosch Clear Advantage Wiper Blades helps you beat the rain, every time you drive in it. 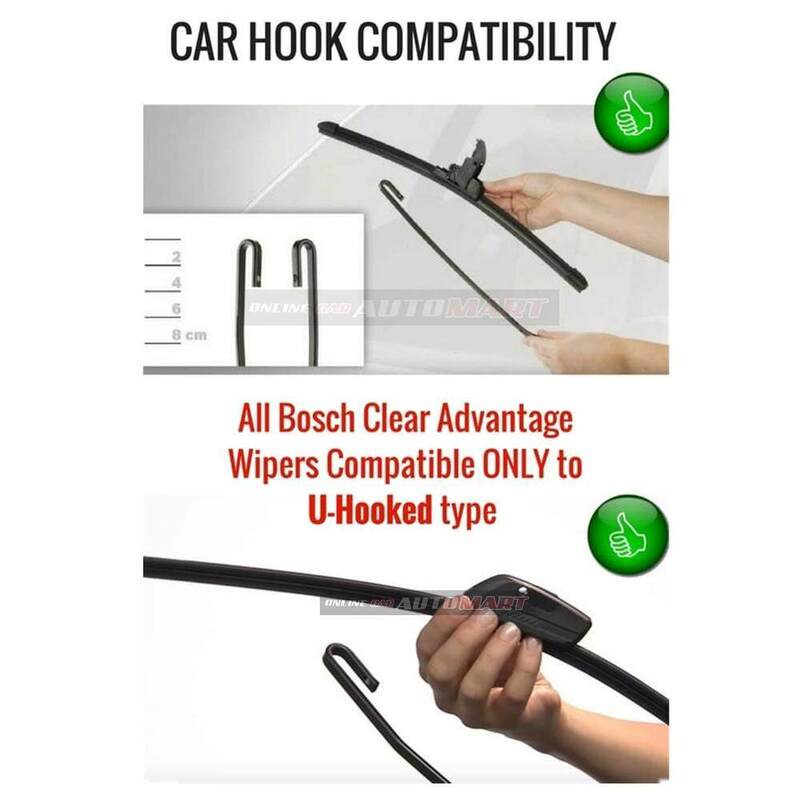 Single flat beam designthat make sure that there is no gap between the wiper blade and windshield. 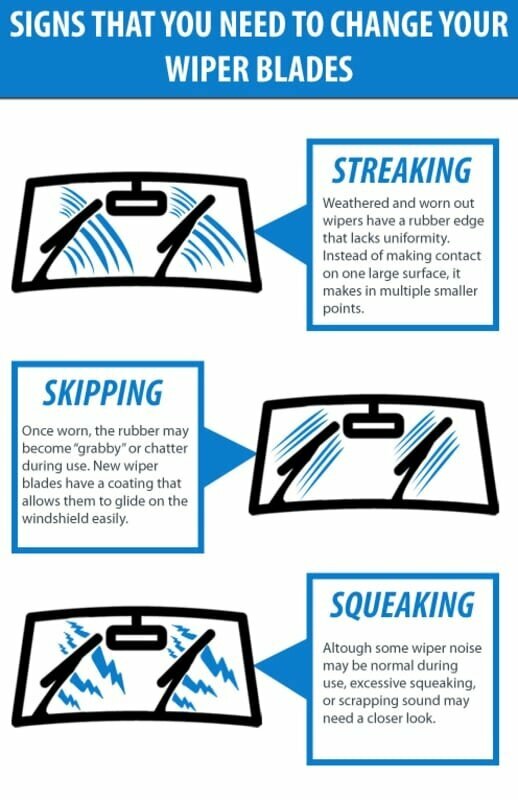 Eliminates squeakingon the windshield since the rubber in the wiper blade is coated withgraphite. 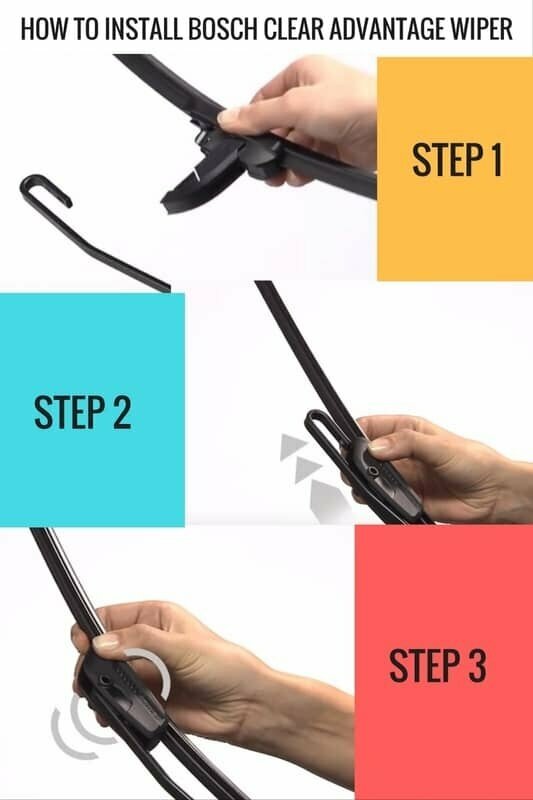 Advanced steel springapplies uniform pressure on the windshield to provide consistent wiping performance. Theaerodynamic designprevents the blades from lifting off at high speeds or heavy winds and also protects the spring from snow and ice-build up. 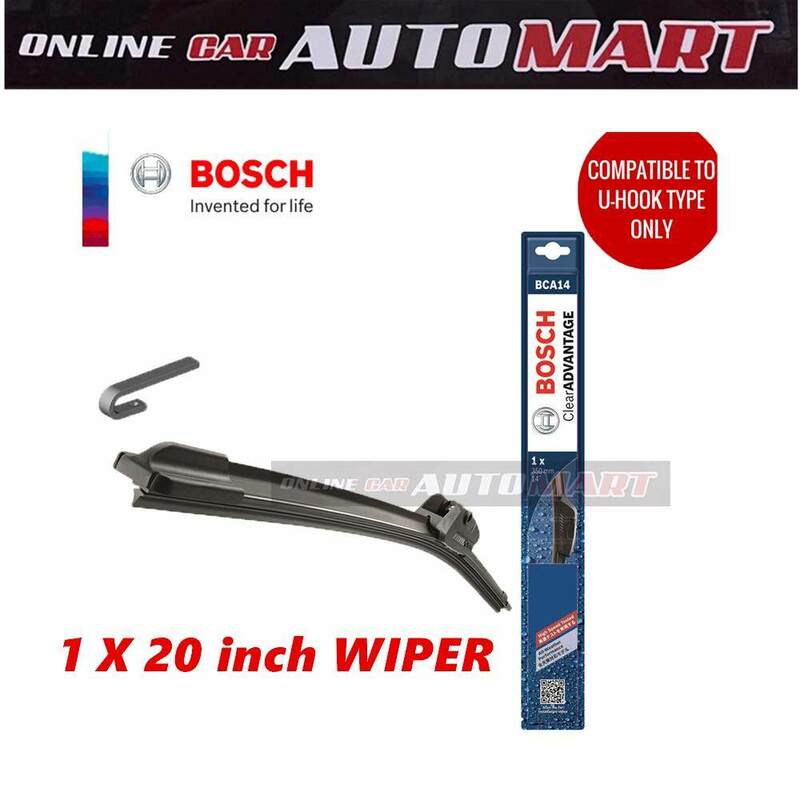 For optimum visibility, experience Bosch Clear advantage Wiper Blades. 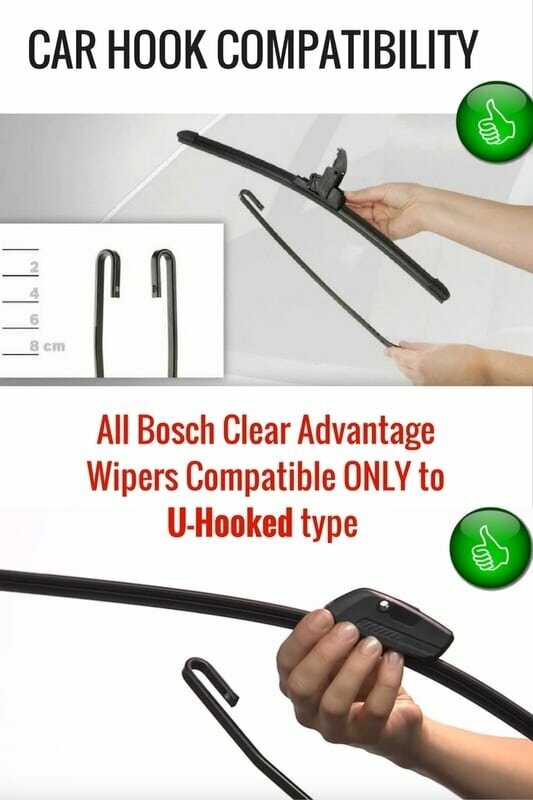 Tested in multiple vehicle models, Bosch Clear advantage wiper blades are suitable for most Passenger Cars withU-Hooked type only.